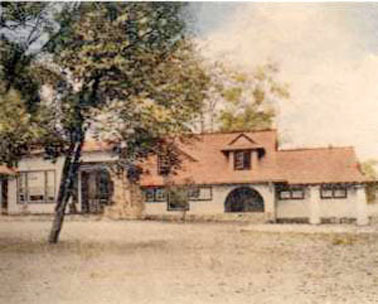 The Golf Association of Philadelphia’s website includes a brief history of Delaware County’s first golf club – the Springhaven Club, formed in 1896. Eleanor Reed toured Europe in the summer of 1896, saw golf being played in France, tried it herself, fell under its spell, and returned to her home in Media eager to organize a golf club there. Fortunately, several of her neighbors— Dr. Casper T. Miller, who had also recently played in Europe, and Henry and Ida Dixon, who had been introduced to the game some months earlier in Bermuda— were equally enthusiastic. A parcel of pasture land known as “Springhaven Farm” was leased from a dairy farmer. Included was an old springhouse to serve as a locker room. The green committee laid out the nine-hole course, which had a total length of 2,940 yards and almost certainly the most exhausting start in American golf. The first hole measured 600 yards and the second hole 520 yards. Each was a par 5 1/2. In an age when a 160-yard drive by an inexperienced amateur—all Springhaven members in 1896 were inexperienced amateurs—was considered little short of herculean, these opening holes must have seemed an endless slog. An Active Member paid an initiation fee of $10 and annual dues of $15. 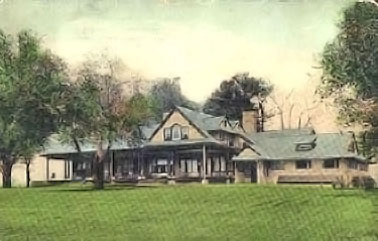 Family Membership, which included sons and daughters under 17, required a $15 initiation payment and $30 annual dues. Here, on essentially level terrain, an 18-hole course was laid out. According to The Architects of Golf, by Geoffrey S. Cornish and Ronald E. Whitten, it was Ida Dixon who was responsible for the design of the course, making her the first female golf architect in America, probably in the world. His name was Horace Rawlins, and he is an historic figure in American golf. In 1895, at Newport Golf Club, Rhode Island, he won the inaugural U.S. Open Championship, shooting 91 in the morning and 82 in the afternoon to edge Scottish-born Willie Dunn, the favorite, by two strokes. Young Rawlins—he was then 21, English-born and reared—was awarded the top prize of $200 but had to hand back $50 in order to pay for the gold medal he received to commemorate his victory. Professional golfers were held in generally low esteem in those days. They were widely viewed as little other than hard-drinking ex-caddies. Horace Rawlins, however, seemed to have served Springhaven well, selling equipment and giving lessons till 1909.